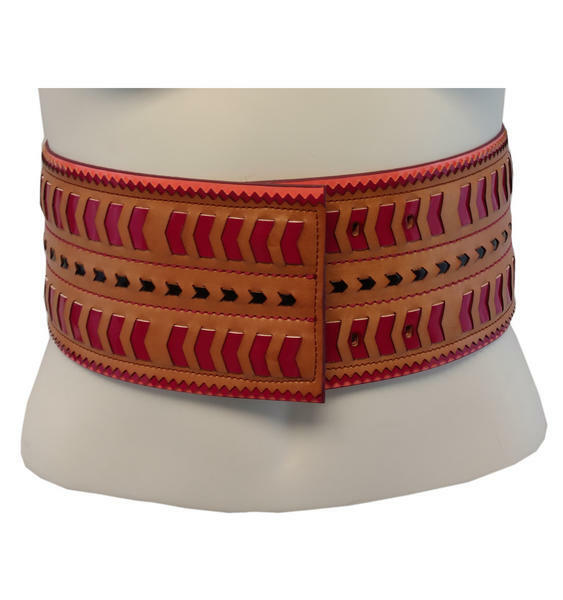 This women's belt by Nanette Lepore has her signature bold, tribal look and adds instant style to any plain dress. Intricate leather detailing makes this a true statement piece. This flirty wide belt be used to cinch dresses at the waist or simply to add interest. Nanette Lepore has appeared as a judge on Project Runway and her designs are highly regarded in the fashion world.